Veda is an equal opportunity employer, where human capital is invested, nurtured, grown and tapped. 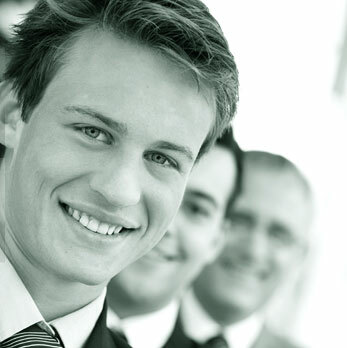 The company offers unparalleled benefits and perks along with the salary packages of industry standards. If you are in software industry and have untapped potential and unfulfilled aspirations, we understand your needs. Do not hesitate to mail in your details and we shall contact you immediately. We will have a three-phase selection process, which involves a technical interview, background verification and final interview. Based on successful clearance of all the phases an offer will be made to you. Depending on the nature of the assignments and availability of immediate opportunities matching your profile, you will be advised. Sr. Prog/analyst—BS /equiv(comb of educ/exp) & 2 yrs exp incl setting up client VPNs & Firewall-to-Firewall VPN’s, implement Symentac I-Gear& Web Security 3, implement & support DNS, WINS, DHCP, Web, FTP, VMWare servers& MS Win terminal svcs servers, travel/reloc req’d. Send resume to: VedaInfo, Inc., 23133 Hawthorne Blvd, Ste B-01, Torrance, CA 90505. BS/equiv & 5 yrs exp incl SAP Bus Data Integrator, SAP Bus Object Data Svc, SAP Bus Objects Web Intelligence, SAP Bus Objects Universe Designer, Oracle 10g Database, PL/SQL, UNIX & Windows. Send resume w/ Job Code to: VedaInfo, Inc., HR, 23133 Hawthorne Blvd, Ste B-01, Torrance CA 90505. Vedainfo, Inc., 23133 Hawthorne Blvd, Ste B-01, Torrance, CA 90505.